Happy July! 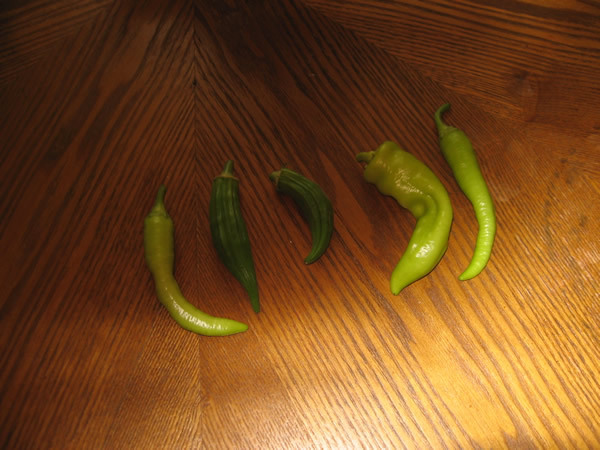 Yesterday was the last day of June and I got a small harvest out of my garden that consisted of several sweet banana peppers and two more okra. Now here’s the real treat. 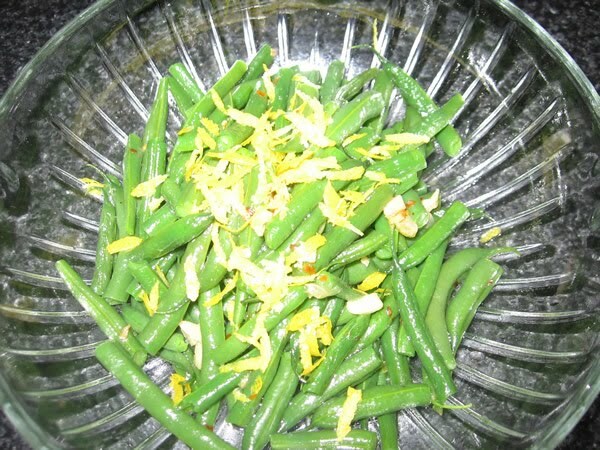 Last week, I took all my beans that I harvested and made string beans with lemon zest. This is a recipe that I got from the show Down Home with the Neely’s. It’s very simple. Boil water with a pinch of salt. Take two pounds of string beans and add to boiling water. Cook for one and a half minutes. Drain and rinse with cold water to stop the cooking process. In a frying pan heat the olive oil and butter. Add the chopped garlic and red pepper flakes and saute over medium flame. Add your string beans and stir with tongs for about two or three minutes. Remove from frying pan and add the zest of one lemon. Serve! 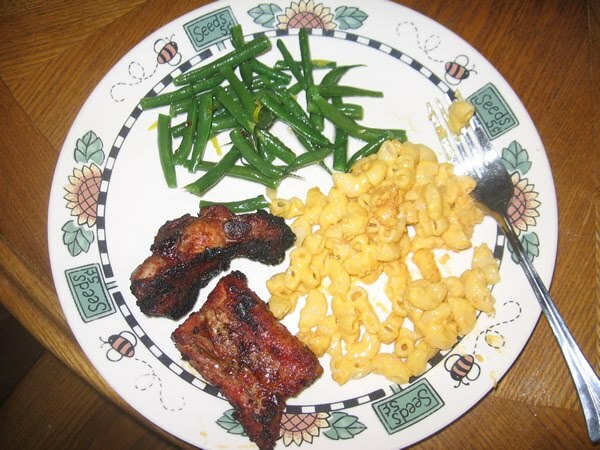 I then added this to my dinner plate of ribs and macaroni and cheese…YUMMY! There you have it! There’s nothing like enjoying fresh veggies from your own garden. Until next time garden gals and guys…..